Ninety per cent of UK premises can already access fibre broadband, putting the UK top of the EU’s largest countries, according to Ofcom. Patterson announced BT’s desire to go “further and faster” on fibre broadband. He made clear BT would “never say no” to providing faster broadband to communities, promising the company would instead explore innovative funding and technical solutions. He said 90 communities were already benefitting from this approach. Patterson went beyond his January statement on ultrafast broadband, to say BT’s new services of 300-500Mbps would reach 10m homes and smaller businesses by the end of 2020, and the majority of premises within a decade. A 1Gbps service will be provided for those that want even faster speeds. 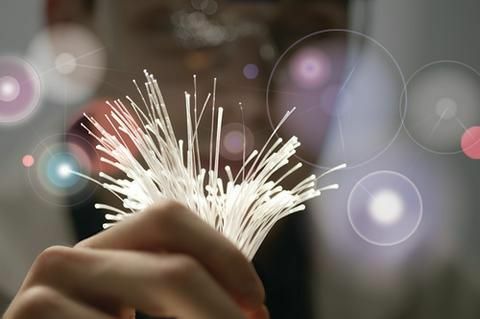 The connections on offer would be a combination of Fibre-to-the-Premises technology, as well as new G.fast technology, which uses existing Fibre-to-the-Cabinet technology.